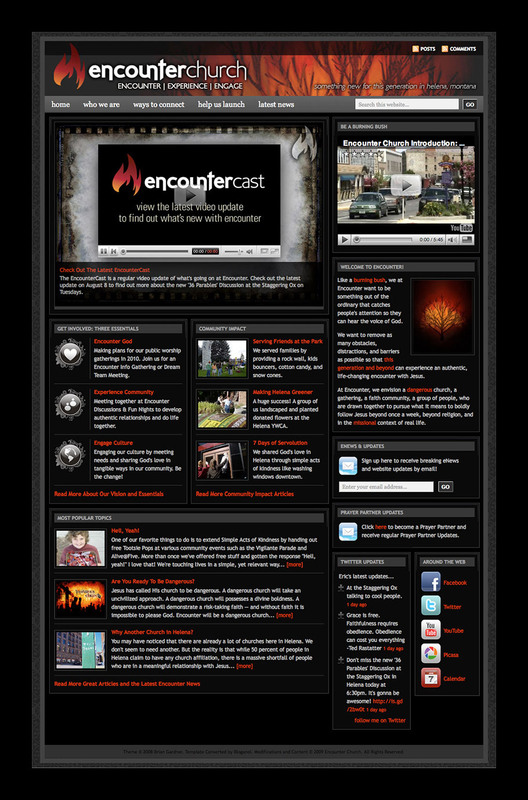 The Encounter Church Helena website was designed using the Google Blogger CMS framework and a re-worked WordPress template. Extensive modifications to CSS3 and design were done to improve functionality on the Blogger platform. Social media, media widgets, and various API were integrated for interactivity and dynamic content at a low cost.